Amassing clay is messy but very absorbing. Right now my hands are covered in the stuff, and I’m only just beginning to see what might emerge. Where does the clay come from? I’m often asked whether my stories are autobiographical. Only certain kinds of novelists are asked this. Writers of stories about vampires or dystopian futures or thrillers or historical novels are generally not assumed to have drawn their inspiration from their own lives. When people ask me, I take it as a sign that I have succeeded. I try to capture – through fictional people and stories – what living feels like for real people. So if readers thought ‘this is too real to be fiction’, I know the story worked for them. But no one starts from a blank space. Everything any of us understands about life – and everything we can imagine – has its origin in what we have lived through and seen and heard and read. Each novelist will have their own story of how their fiction grew out of reality. Here are some of mine. 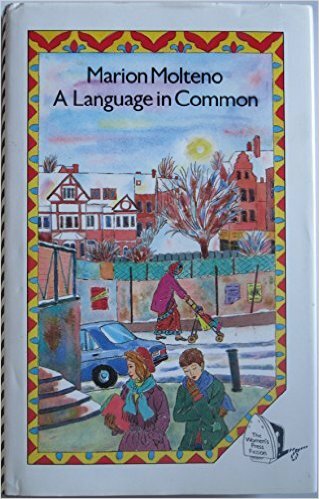 (1) The ‘clay’ for A Language in Common was being responsible for setting up English classes in a part of London called Croydon. Many of the people in the classes were women from India, Pakistan and Bangladesh, who had come with their families to live in Britain. Without knowing English they were unable to connect with much of what was going on around them, so the classes were crucial in helping them make those adaptations. A little social world emerged, teachers and adult learners together forming a community, hearing what was happening in each other’s lives. Until then I had had no contact with South Asians, and what I was learning from them caused an explosion of new interests. I was also touched by the ways they handled challenging transitions. The stories that emerged – written at night after my young children were asleep – were about imaginary women, but I put myself in as narrator. That was a literary device – it explained how I came to be an observer of these other women’s lives. A writer is always an observer – being upfront about it created a kind of freedom. I’ve always treasured the response of a young British-Pakistani girl from Birmingham who wrote to me after she’d read the book, for it expresses so neatly the relationship between fiction and real life. She said, ‘You’ve got my Auntie in there, and I don’t know how you did it.’ Of course I’d never met her Auntie, but the clay was sound. (2) Jennie – the central character of If you can walk, you can dance – is thrust into exile because of political events in South Africa in the 1960s. I didn’t have to run across a border like Jennie, but I knew people who did. My brother Colin and a group of his friends were imprisoned for doing things as subversive as reading banned books and teaching literacy to African domestic servants. They had attracted attention by living collectively, which obviously meant they were communists and a threat to the state. It’s easy fifty years later to shake our heads at the absurdity but it was a terrifying experience – and not unlike things that currently happen to bloggers in Saudi Arabia. When he was eventually released he went to Botswana – he could do so legally because he had lived in Britain for years and was a British citizen. His friends were not so lucky – they were released on bail, but with charges that would have put them in prison for years. So they hired a car, drove to an unmarked spot on the border with Botswana, and walked across to where Colin was waiting to meet them. So that was the ‘clay’ – the vivid encounter with reality – that gave me the idea for Jennie’s escape. But it wasn’t me. I wasn’t there. The circumstances were imaginary – and so was what happened as a result. This is the novel that people most often assume to be autobiographical. It’s written in the first person – but everyone knows the ‘I’ in a first person novel is not the voice of the author. Lionel Shriver’s We need to talk about Kevin is written in the first person (the mother of a teenaged mass killer) but I doubt if she is often asked if it’s based on her own life. The psychological heart of Jennie’s story is that she has to make her way alone in places where she does not belong – disconnected, rootless, having to invent her own sense of meaning wherever she is. Though I have had to change countries twice, both times for political reasons, I didn’t do it alone. Robert, my husband, and I had each other’s company and support. What Jennie was faced with goes way beyond anything I have experienced. So what was the clay for that? Actually, I have no idea – the story just grew from its starting point. There she was, stuck — I was curious to know what she was going to do. What was it like to land up alone across a border you could never recross? What were going to be the hardest things psychologically? What choices might open up – and what qualities was this young woman going to need to be able to grasp them? And from reactions of readers across the world, I know that something about her story is timeless, and capable of connecting with people anywhere. The most unexpected was a reader in China, who blogged about how she was inspired by Jennie’s ability to find something to put her energy into. It reminded her, she said, of her mother-in-law. Actually, it’s more often about despair. For most people forced to become refugees, hope is hard to achieve. But to survive you have to live where you are, even if you never wanted to be there; and you have to find reasons to go on trying – which if you are lucky may turn into hope. I knew that to give a realistic picture of what it’s like to be a refugee, I would have to find a way to balance past traumas and present challenges, despair and hope. The character of Hasan is crucial in this: he works in a legal advice centre for refugees, trying to help them get permission to remain in the UK. At the beginning of the story he is almost overcome with the weight of the human tragedies he deals with every day. Then a young woman – not a refugee – comes into his office asking for his help with someone she has recently met, and the fact that she is going out of her way to help a stranger is part of what revives his faith in human nature, and gives them both the energy to fight the case. A reader commented recently on how I described what he called ‘the mechanics of protest.’ He said, ‘A lot of writers simply wouldn’t know how to do that, or might not think it important, but you sound to me like someone who’s actually made a banner, been on a march.’ Yes I have. But in the story it is critical that the young woman, Rachel, hasn’t before been politically active. She’s just an ordinary person, dealing with her own personal problems – single mother, three children, and part time job. But she is first upset, and then outraged, at what she learns about what is happening to her refugee friend. That’s something that could happen to all of us. (4) For Somewhere More Simple the starting point was the place itself. 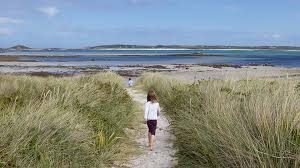 For many years while our children were young the Scilly Isles provided a magic holiday retreat – a set of islands off the coast of Cornwall, it is idyllic, safe for children, removed from the pressures of our usual lives. We would fantasise about a storm blowing up on our last day, that would make it impossible for us to return. Of course we always did return, and life had to pick up where it had been left. But the place itself is so special, it worked away in my imagination. What would it be like to live there all the time? What would draw people from elsewhere to choose to do that? — Till gradually these imaginary lives began to inhabit my mind — people I was only just getting to know, but moving about in a place where I knew every cove on every island. Smita Singh said, ‘It’s a tale of self discovery… But is it necessary to be in a quiet, distant place to discover oneself?’ No, of course not. Getting to understand yourself better is something we all do, everywhere. But the remoteness of an island community perhaps highlights something that can become obscured in the noise and busy-ness of a city. But the title is ironic – you may think you are choosing a simple life, but we carry complexity within ourselves. Cari, Anna and Hugh – the three central people in the story – are at different stages of their lives, and each has their own reasons for being on the island. None of them is modelled on anyone I know – their complexities are their own. But there was a moment when reality and fiction collided. The year the book came out I was invited to talk about it on St Mary’s, the biggest of the islands. 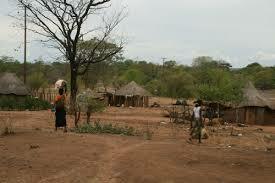 A group of about twenty people came to the talk – some holiday makers, but some islanders. A couple of them told me afterwards that they knew who Hugh was. Apparently I had modelled him precisely on someone who lived on one of the smaller islands – whom I have never met. Only because for thirteen years I was a senior policy advisor in Save the Children, which works in fifty countries, in those kinds of situations. I was meeting people who did this kind of work, people with skills I certainly didn’t have, who worked in situations of great stress, which I would find intolerable. The pivotal character, Rahul Khan, typifies this. I never met anyone exactly like him, but scores who had some of his qualities. A social activist with a Hindu mother and a Muslim father, he feels personally challenged to do something to heel tensions between communities; he ends up as a peace-keeper, going into dangerous situations in war zones. I’ve never faced his or Tessa’s personal dilemmas, never been taken hostage or been so close to someone who has. But when you meet people who have to navigate extreme situations, you get drawn into imagining what it must be like. And the place? I have often been asked if I have been to Tajikistan. 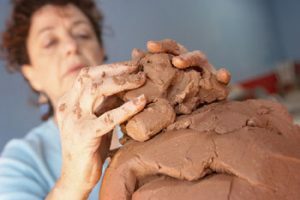 At first the question stunned me – there is no way I would have dared to set a story there if I hadn’t – but now I realise that people may just be checking that they can rely on the reality of what I am portraying – is the clay sound? As sound as I could make it. I was lucky to have had the chance to be there through my Save the Children work, and to learn from colleagues – Tajik and other – who lived there longer term. I don’t think I could have conceived even the beginning of the story if I hadn’t had in my eye the awesome grandeur of the mountains, and in my memory the colours and smells of the place, the warmth of people, the complexities life had landed them with. I wasn’t there through the worst of the war but I saw its effects. Once you set out on that kind of a journey, you make it your business to learn everything you can that is missing from your own experience. I could write another book about what I learnt from reading and interviewing people after I’d been there, to help me understand the full import of what I had observed. That was a total immersion in ‘amassing clay’, and though most of it got pared away, it created the base from which I could begin to imagine the stories of individual people caught up in all that. But it’s not the setting or the issues the characters are dealing with that gives a story life – these have to feel real, but they are not enough. What makes fiction resonate is how people feel and interact – and that works for the most diverse readers because of our common humanity. We – both writers and readers – recognise in particular experiences of others, which we have never had, a reflection of more universal impulses – including ones we don’t like to face up to. 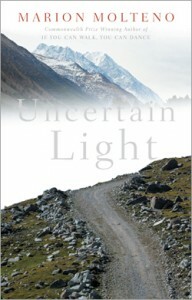 Some readers of Uncertain Light told me that they found the relationship between Tessa and Rahul disturbing. If they nevertheless kept on reading, I suspect it was because they recognised feelings and motivations that they knew could really happen — how we sometimes launch impulsively into decisions that we cannot afterwards undo; how we are often torn between conflicting needs and demands; how loving does not always come in forms that society deems permissible – but it is love nevertheless. How some things are universal – the capacity to love; the inevitability of loss. We each only have one life; but there is no limit to the number we can imagine. – Tom Griffiths for the clay insight, from The Art of Time Travel: Historians and Their Craft. – Smita Singh for interviewing me for Bookalcoholicanonymous ; this blog is an elaboration of the answers I gave to her question ‘Does your fiction reflect your own life’. – Readers who tell me their reactions (those quoted here and many more) which help me understand how my books work. Photo credits: Clay worker, www.sculpture.org. 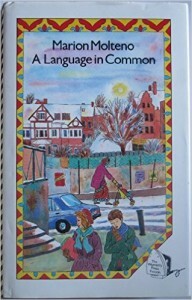 Cover of 1st edition of A Language in Common, Hanifa Hassan; cover of If you can walk, you can dance, Misha Oberoi Chakravarti; covers of other books, Andrew Corbett. Others are free internet downloads. What a beautiful article about the intersection of authors’ “real lives” and the lives of their imaginations. Many beginning writers are paralyzed by the thought that someone they know—a sister; a child—might “recognize” themselves and feel wounded or resentful. Your examples show that a writer fully in command of her craft can create that “aha” moment—“Yes, we know that man! He lives on the next island!” That recognition occurs even when characters are wholly imagined. Having read and SO enjoyed both Uncertain Light and If you can Walk you can Dance , reading about your ‘Amassing Clay’ has been incredibly clarifying and such an insight into how you use your own experiences to help form and shape your stories without being remotely autobiographical. Can’t wait to explore your other novels Marion. Thank you for coming into my life as you have certainly enriched it! An interesting and insightful blog as always Marion. We are all the sum of our experiences – imagination gives us the ability to illustrate them. I am inspired to read ‘If you can walk’. Thanks for this insight into the creative process. ‘Jennie has to make her way alone in places where she does not belong’ . . . to me, this demands meanings constructed afresh, on the hoof because needed right now, without the reassurance of second-hand experience from others or much reliance on what I’ve learned from my own previous experience. Being awake too much, for too long. I look forward to reading the book. How very interesting. I have always admired good writers for being able to make readers really care about their characters as if they were real people and wonder how their lives go on after the novel is finished. This is something that you do in spades — your clay is sound – thank you. Thank you, Marion. The analogy to amassing and moulding clay chimes with my own approaches to writing. The skills required to articulate the attributes, anxieties, challenges and complexities which shape the lives of ‘real’ people and set these within recognizably authentic environments (cultural, temporal, political and geographical) has many parallels with the approaches of the sculptor. The process of creating characters and a narrative is, as you suggest, a voyage of discovery. So good as always! You have the capacity of standing back and waiting quietly without judging. The clay is essential but the skill of the craftsperson is what gives it life and vitality. I have read all your books and they just seem to get better and better. Truly inspirational, as usual. You have the capacity to make everything you write sparkle and the concept you’ve used here is just perfect. Thank you for sharing your magic. Very interesting. And fun to see my own experiences mentioned as a source, including some details I myself had forgotten. I hadn’t realized that you had written so many books – it is very impressive! I myself got to read 3 of them – and I’m going to give ‘Uncertain Light’ to my friend in Winchester. Greatly impressive.This ‘Amassing clay’reminds me of my younger days when I could mold almost anything in this planet.Its amazing Marion to continue creating.It is truly inspirational.